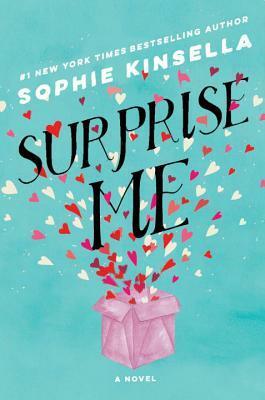 Let me start this review by saying that I love Sophie Kinsella's lighthearted novels. I always enjoy settling into her usually slightly kooky main ladies and their predicaments. 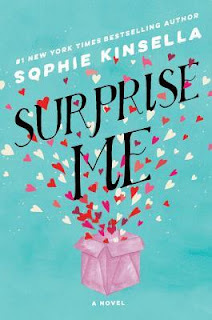 Surprise Me definitely held some of the same charms and I was intrigued by the initial premise that Sylvie and Dan are thrown off kilter by their prospective longevity and a possibly additional 60 plus years married to each other. It held a lot of promise for laughs and misunderstandings. I felt though that through their internalised panic that we lost some of their connection. They somehow disconnected for too long into the novel for reasons that had little to do with their marriage and more to do with Sylvie's father. I can see why Dan had been secretive, he wasn't given much choice over the years and was trying to protect his wife but I found that whole notion made less of their marriage. I wish their own family unit had been given more time rather than the one with her parents. It seemed to have a disconnect with the initial premise. I enjoyed the novel regardless as Sylvie was entertaining and a fully developed character who made me laugh and empathise with. Surprise Me was certainly entertaining and the intrigue surrounding her father kept me engaged, I just didn't feel it followed through from the onset. I love the humor of Sophie Kinsella and always look forward to her books! This book did not disappoint! Hate waiting so long for the next book!